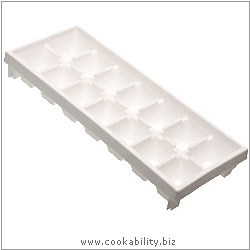 Twist-n-out is the effortless, instant, washable, stackable, non-stick, self levelling, everlasting ice tray. Simply the best! Simply hold firmly at each end and twist.